There are definitely some things in life that you just cannot change. You can’t change the fact that Brielle had to experience the unthinkable.. losing her sister when she was just 19 months old,or the fact that she had to learn more about Jesus and God and where her sister and brother are, in Heaven. But one thing that we have learned about Brielle, is that she is resilient. She absorbs everything God has given her, and more. She has such an amazing understanding of life and her knowledge at just 3 1/2 years old is out of this world. God called my husband and I to open our doors and our hearts in January of 2016, to help other children in need of love, hope, and understanding. At the time, we were just praying that Brielle would transition well and open her heart and her mind into accepting new friends and love them as much as we would! One day we got a phone call, from a 4 month baby girl getting released from the NICU, born to exposure to drugs, and weighing in at just 1lb 8oz. at birth. Let me tell you, we didn’t hesitate to tell the case worker YES! Shane and I knew what to expect with the possibility of another special needs baby, and what that would do to our life and our family as a whole, but we said yes immediately and made our way to San Antonio to meet her the next day!! Brielle immediately clicked with her. Her big sister switch flipped to “on” and she has been taking care of her ever since. I just wanted to share with y’all a few ways that our foster child has actually helped our biological child. She will get Brielle out of bad mood, or a tantrum real quick, by reaching for her and smiling. She showed Brielle what trust fully is, by giving her everything she has. She will literally let Brielle re-position her about 100 times, without even crying. THAT is trust! She taught Brielle how to be joyful and happy again. After losing her sister, Brielle kind of just became a different child–A very angry, and very cautious child, who had lost a lot of her joy. She shows Brielle that she is wanted and needed in providing every day care for her, and so she allows Brielle to help with the many daily tasks that allows Brielle to be wanted/needed. She is helping Brielle find beauty in the ashes. It’s so amazingly beautiful to see. I love the relationship they have developed over the last almost 8 months, and I cannot wait to see what God has in store for the both of them. The likelihood that baby girl will have return back to her parents is high at this time, but we know that every moment we have with baby girl is something to cherish and we definitely don’t take any amount of time for granted. 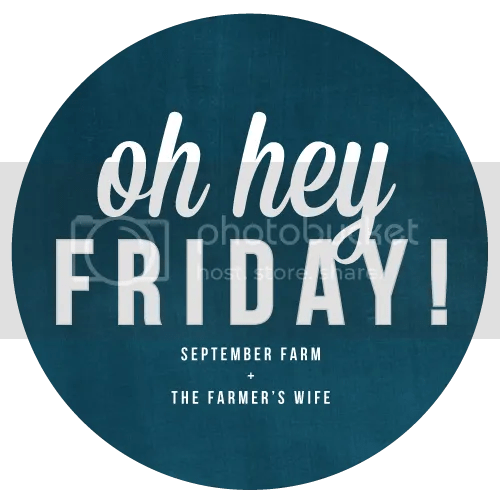 BTW I am linking up with some pretty amazing ladies this Friday, who just updated their button, so don’t hesitate to stop on by their blogs and show them some love as well!